Randers Rainforest / Tropical Zoo (Randers Regnskov) is an all in-door Zoo with plants and animals from the rainforest. The zoo consists of some large domes with tropical climate all year. 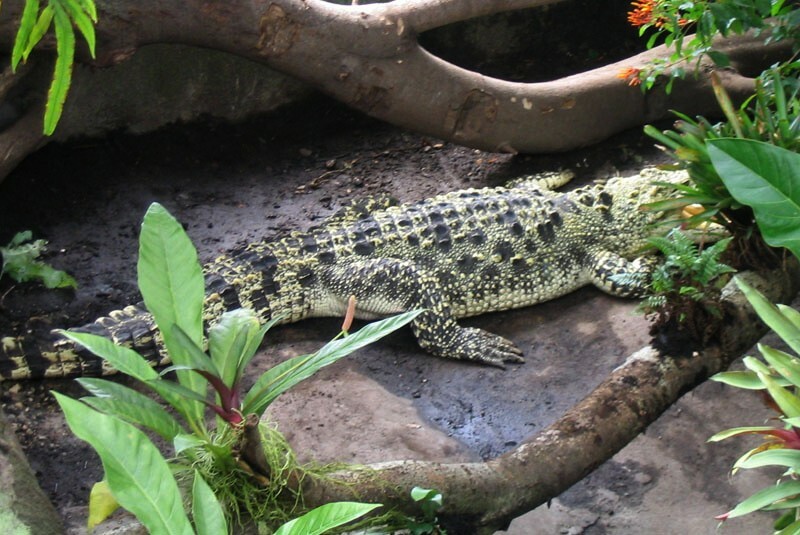 Here you can walk among animals like: Crocodile, monkey, birds, turtle, aardvark, snakes, butterflies, lizard, tapir, armadillo and many more. 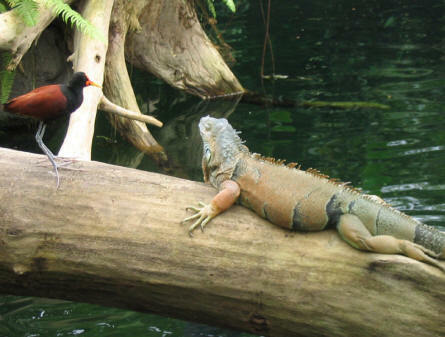 An iguana and an exotic bird is relaxing at the Randers Rainforest. 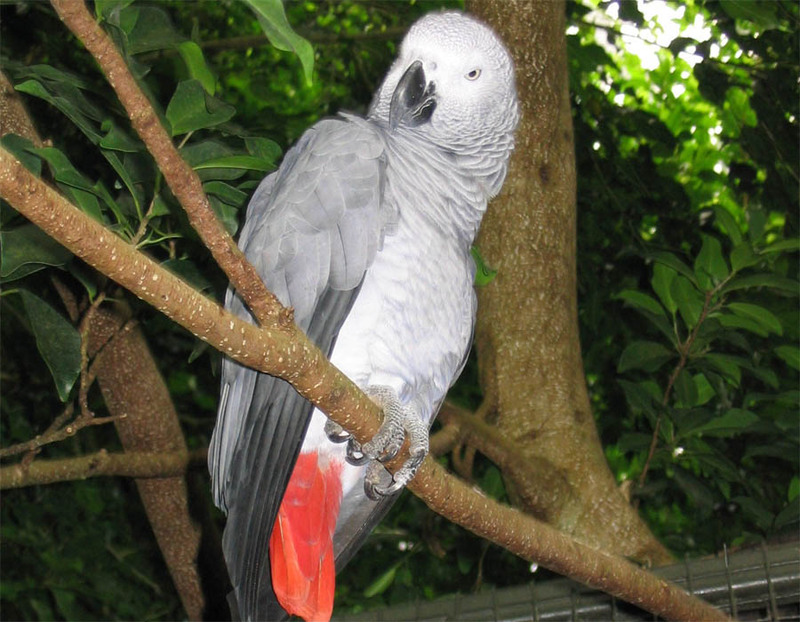 One of the larger parrots at the Randers Rainforest. 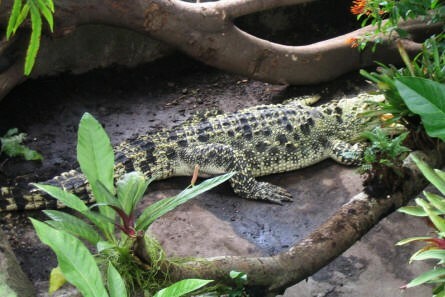 A Cuban crocodile is hiding at the Randers Rainforest. 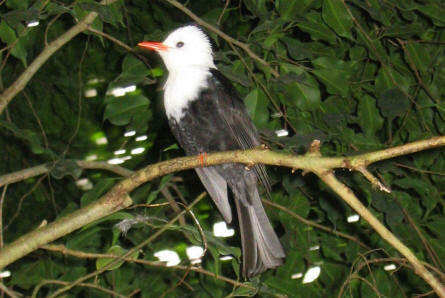 One of the many exotic birds at the Randers Rainforest. 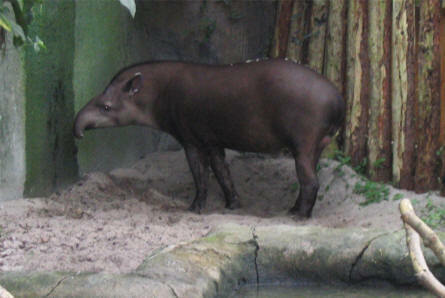 A Brazilian tapir at Randers Rainforest. 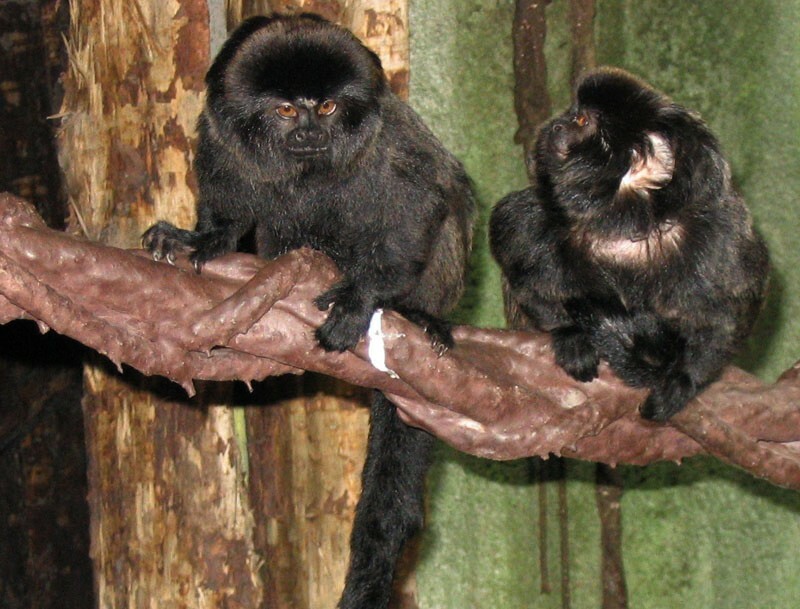 Two Goeldi's marmosets at the Randers Rainforest.